To create a final track, Enya stands at a microphone for hours on end, singing a single part over and over until it seems perfect. "The end result is very important," she says. "There is a sound that happens and you can't cut any corners with it." "We decide to record maybe 500 vocals, and if it doesn't work, you've just got to be very brutal and just press the erase button and they're gone," she says. Enya's music is what you listen to when you want to read, or think, or take a nap, or calm the dog, or practice law - or just about anything, except really listen to music. Her noncommittal washes of sound create a comfortable background, a sort of aural wallpaper carefully hung so as not to disturb the senses. She makes music that even your grandmother would think is wimpy. But unlike listening to most new-age music -- a term usually as oxymoronic as airline schedule -- listening to an Enya record won't make you want to grind healing crystals into your stereo speakers. Her creations are more melodic than most in the genre. Indeed, melody seems to be her primary focus. "My biggest ambition is to write wonderful melodies that would be very lasting and would stay for a long, long time when Enya's gone," the Irish musician said in an interview. Even if you're not a new-age fan, you've probably heard at least one of Enya's tunes. Her surprise worldwide hit single, "Orinoco Flow,'' made it to No. 24 in America and No. 1 in Britain in 1989, and its "sail away, sail away, sail away" chorus is still heard, appropriately enough, on commercials for the soft-drink mix with the faintly ethereal name Crystal Light. That song came from Watermark, her 1989 Reprise release, which has sold almost six million copies and has been on Billboard magazine's pop-catalogue chart for more than 60 weeks. Music from Watermark also found its way onto the soundtracks of the movies L.A. Story and Green Card. Enya's music grows on you, and more than three years after the release of Watermark, her latest offering, Shepherd Moons (Reprise), has grown on enough listeners to sell about two million copies. Billboard recently named it the year's top new-age album, and it's been No. 1 on the magazine's new-age chart for 35 weeks. Shepherd Moons is essentially Watermark with a different cover, and even the cover is not all that different (both sport a profile shot of Enya framed with various plant life; Watermark is muted red, the other muted blue). Both albums open with their title tracks, which are sparse, brooding piano themes; both have 12 compositions, of which no more than four are instrumentals; both have a few catchy tracks that have hit-single potential, and both sell like wind chimes at a Yanni concert. Although her music pleases, the elaborate productions lack spontaneity. The way they're created -- Enya speaks of 'forming'' an album -- makes it clear why: She slowly and deliberately contrives each section of each track. Nicky Ryan, her Dublin-bom collaborator and producer, does try to liven things up a bit. Unlike Enya, who favors traditional Irish and classical music, Ryan grew up on a steady diet of the Beatles, the Beach Boys and Phil Spector. Says Enya: "It helps, in a way, that when we get together, there are clashes -- there has to be to make it interesting." From the sound of things, though, Ryan loses most of the time. Generally speaking, their work has no backbeat, no guitar solos -- make that no guitars, period -- and nothing you could work up a sweat dancing to. Here's how an Enya album is "formed'': She heads into her private 32-track studio outside of Dublin to, as she describes it, "sit at a piano and to keep playing and recording ideas for days on end, and then I listen back and there might be just a few chords or a little melody and then I know this is going to work." That done, she plays the chords and short melodies for Ryan, who helps her decide which ideas to develop further. It's back to the studio to create fuller compositions. Eventually, she submits those to Ryan's wife, Roma Ryan, who fashions lyrics around the melodies, writing in combinations of Gaelic (her first language), English, Latin and long, melismatic nonsense syllables ("ooweeooo" and that sort of thing). Then the real work begins. To create a final track, Enya stands at a microphone for hours on end, singing a single part over and over until it seems perfect. "The end result is very important," she says. "There is a sound that happens and you can't cut any corners with it." In this spirit, she uses a minimum of electronic sequencing. A single passage of a piece can involve more than a hundred voices, all of them Enya's. She might, for example, sing a single note five or six times, and then add four or five harmony notes on top of it and sing each of them five or six times. For good measure, she plays nearly all of the instruments on Shepherd Moons herself. It sounds as if it takes a long time -- and it does. Enya has allowed at least two years to pass between the release of each of her solo albums. (Her first, Enya, was released in 1986 on Atlantic.) For every take that turns out right, there may be hundreds of misfires. Enya was born Eithne Ni Bhraonain in a small town on the northwest coast of Ireland and had to go to school to learn English. Enya is a phonetic spelling of her Gaelic first name. She doesn't listen to the radio, or even much to music, and says she has never bought a record. In 1980, at the age of 18, she got her start as a professional recording artist by joining her family's band, Clannad (Gaelic for family). hen Enya was in Clannad, its music was what you might expect from an Irish folk band lilting melodies, flutes, harps, acoustic guitars, and lyrics in Gaelic and English. Since then, Clannad's sound has moved closer to that of Enya, who seems only recently to have appreciated the Irishness of her creations. "When somebody would comment, 'Oh, this is very Irish,' I couldn't see it. Now I can see it, but it took me a while to see the influence of growing up in a place like (County) Donegal." Although Enya's wispy melodies and Gaelic lyrics may evoke images of misty seascapes, crumbling castles and other aspects of the Emerald Isle, Shepherd Moons is by no means provincial in its scope. "How Can I Keep From Singing?" is a 250-year-old American Shaker hymn, and "Marble Halls" is an aria from the opera Bohemian Girl, written a century ago by Irish composer William Balfe. Much of Enya's music verges on sheer escapism, and a lot of it suggests movement. Perhaps unsurprisingly, considering that they originate essentially as window dressing for the lush melodies, Roma Ryan's lyrics tend to be simplistic, even wildly random. "Orinoco Flow" is a good illustration. As she describes it: "With 'Orinoco,' it was a case of me coming out to the studio to listen to the pizzicato and, while I was listening to it, I was looking out the window and I could see my two children skipping, and that's actually what sparked it off." So she sees her kids playing, and is inspired to write about a river in South America. Go figure. The videos created for Enya's melodies are generally more successful than the words. 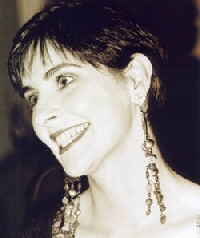 Moonshadows (Warner Reprise), Enya's first commercially available collection, contains four of them culled from Watermark and one from Shepherd Moons. With the exception of "Exile" (a ho-hum promotion for L.A. Story), everything on Moonshadows is a winner. "Caribbean Blue," the newest of the bunch, is based loosely on turn-of-the-century children's book illustrations. It also employs images of the fantasy life of a 9-year-old boy, and -- presumably as a concession to the song's title -- images of a tropical island. All of these elements were filmed and then meticulously enhanced by a team of 10 animators to produce a whimsical, swirling, frenetic montage. The effect is like Norman Rockwell meeting Timothy Leary. It's random, pointless, has almost nothing to do with the song -- and it's very entertaining. With all that goes into creating Enya's sound, it should come as little surprise that she doesn't do it live. "It would be absolutely wonderful to be up on stage performing the music, because I have a great love of the stage. But we felt it's got to be right and we're working on trying to see how we can get the music on stage." But let's hope it takes them a while. Probably the best way to experience Enya is sitting alone in a comfortable armchair, sipping something expensive. Enya's work is essentially escapist, and it's hard to escape in a crowd.